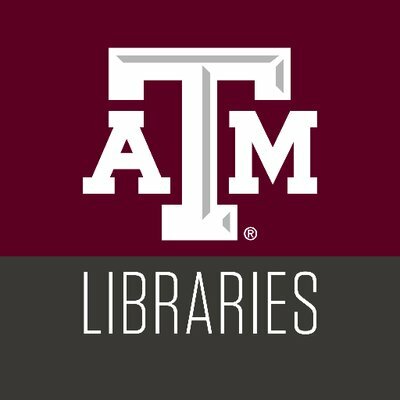 Texas A&M University Libraries seeks a creative and dynamic professional to join the team as an Electronic Resources Librarian. The Libraries has a resource budget of nearly $14 million for electronic resources. There is strong support for professional development and this position offers an excellent opportunity for an early career librarian to gain valuable technical service skills and knowledge. The appointment may be a tenure-track/tenured position or a clinical (non-tenure track) position, depending on the successful candidate’s professional interest, scholarship engagement, and professional service. Reporting through the Director of Electronic Resources, the Electronic Resources Librarian is responsible for the day-to-day activities related to the Libraries’ licensed e-resources throughout their life cycle. Duties include, but are not limited to, activation and maintenance of serial access records in our link resolver, creation and maintenance of supplier and resource records in our electronic resources management system, and creation and maintenance of database access records in LibGuides. The librarian works with vendors to negotiate license renewals, troubleshoot access issues, and remain current on vendors’ technologies. The position also has the potential for leadership opportunities in the library open software community and may supervise staff. The person in this position must be a self-starter, detail-oriented and enjoy solving problems in a collaborative, collegial environment with continually evolving technologies. The Librarian is expected to maintain knowledge of national trends and developments in acquisitions and electronic resource management. The position includes service on committees for the Libraries, the University, and other organizations, contributes to the profession, and engages in scholarship. To be considered for a tenure track title of Assistant Professor or Associate Professor, candidates must engage in an ongoing body of scholarship evidenced by publications in high quality, peer reviewed journals or other significant venues, and an engaged record of service at a national level. Candidates interested in coming in with tenure will be required to go through a complete review process, including letters from external reviewers and a faculty vote. To be considered for a non-tenured, Academic Professional Track title of Clinical Assistant Professor or Clinical l Associate Professor candidates must engage in professional service at multiple levels with demonstrated national impact. Applications: Applications received by May 17, 2019 will be given first consideration. The letter of application should address the responsibilities, qualifications, and experiences listed for the position. Please submit application letter, vita, and the names, e-mail addresses and telephone numbers of three professional references. References will not be contacted without contacting the candidate first and verifying permission. Send nominations and applications via email to LibrarianJob@library.tamu.edu or mailed to Pixey Mosley, Associate Dean for Administrative & Faculty Services, Texas A&M University Libraries, 5000 TAMU, College Station, TX 77843-5000. To obtain more information or to submit your resume you can contact Pixey Mosley as shown below. If you apply for this position, please say you saw it first on www.AcademicCareers.com. Thank you.